IMPORTANT: Effective for the 2008 season and beyond, SCCA membership is required for events. 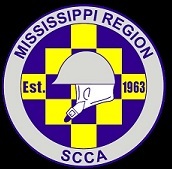 This can be in the form of a $15 "weekend membership" that you can pay at the event, but almost all participants find that it is advantageous to become full SCCA members. Please see our Membership section. NOTE: These dates are currently confirmed. Please remember one of these sites are used by the Military and could be used for another purpose at any given time.